One year gone in a blink. It had its highs and it had its abysmal lows. One constant was the books that held it all together. Sometimes, we are at a loss of words and at others we do not realise that we need to address certain things with words. Books help at such times. Here are some of the books that opened up our worlds a tad bit more and led to late night conversations over mugs of hot chocolate. Difficult Conversations: Are we turning into snowplow parents? Enjoy these must-reads from 2018. We live in our cocoons. Not aware of other cultures, people and foods. Thukpa for all beautifully rounds everything up. This book, told from a blind child’s perspective, opens up an important conversation about the differently-abled and how they are usually treated. The story revolves around Tsering inviting his friends and neighbours over for a delicious meal of Thukpa cooked by his grandmother. But then the power cut strikes. While everyone wonders what to do, for Tsering, it is business as usual. He is just a normal child who does things a bit differently. On our trip to Ladakh, we tasted thukpa, and learnt that power cuts were a way of life. It is a world far removed from the isolated existence of a city. The community thrives on cooperation, mutual trust and care. And life waits for a warm bowl of thukpa despite what we might see as hurdles. The story normalises differences beautifully. The younger one used to speak with a slight lisp when he started talking. By the age of four he had figured out how to say ‘s.’ At that time it used to sound cute. But today when I think back, I shudder at the horrors he would have had to face had it not gotten resolved on its own. Children can be fairly mean to people who are different. And articulation and phonological disorders are just not considered serious enough by our society to evoke any kind of empathy training in kids. 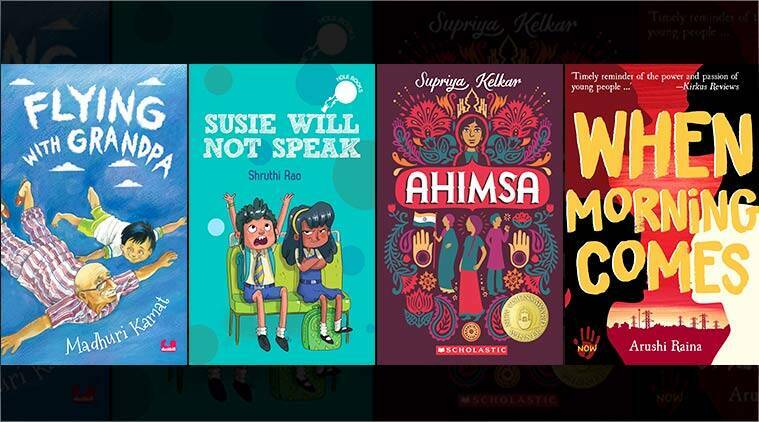 In fact, just like an adult in the book Susie will Not Speak (written by Shruthi Rao; illustrated by Lavanya Naidu) most of us end up making fun of it all. Movies freely use such characters as a comic relief. It is simply acceptable to laugh. Very few stop to think. Books like these are the precise reason why I love hOle Books. They bring issues relevant to the targeted age group without the story sinking into seriousness of the problem. They make it relatable. Susie has a lisp and she could be any of our children’s classmates. The kids in the park who tease her exist. So does the boy who decides to be her friend. The speech therapy is bugging her as much as the people who find her strange. The last straw is a school assignment that would require her to make a presentation on a topic with an overdose of the alphabet ‘s.’ The story follows her troubles, her friend standing by her side and Susie eventually finding her way. Shruthi Rao deftly opens up a conversation about an issue mostly ignored. Books like these are important if we are to raise mindful kids. Give it a go. As an exercise, try noting down the time you are on devices. You’d be surprised! As a second exercise, look around you – on the metro, in the mall, markets – everywhere we find people on devices. Even more worrisome are the little babies happily swiping on the screen. The child then goes on to drag them to the big world out there. The story is hilarious and worrisome at the same time. It talks about our times, it talks of us. And it gives us a glimpse of possibilities without screens! And the twist at the end will get you rolling on the floor. Manic Panic achieves a rare balance. There is a message in there for all of us – grown-ups as well as kids who are screen dependent. Yet the story is hilarious with the illustrations making it all funnier and even more ridiculous. I have five dogs and a cat. And believe me they are walking lessons in accepting differences. The Rottweiler is scared of the slightest sounds, the cat thinks he is one of the dogs, the oldest dog thinks he is the family elder, the smallest thinks she is a ninja. Soda and Bonda is easily as much their story as it is ours. Bonda the cat feels and behaves like a dog. The story is about Bonda coming out and Soda accepting her as a dog. Sound familiar? We are all stuck in roles defined by different conditions – age, gender, religion, culture, caste – the list never ends. Soda and Bonda gently shake that all up and form a welcome platform to discuss differences and acceptance. I do not think it is limited to a toddler picture book. It transcends ages and should be read by all. The illustrations mae me fall in love with my mad band of dogs and a cat all over again! My love and appreciation for history is fairly recent. So to go to another continent for something which never found a mention in our history books was out of question. My introduction to South Africa was limited to Gandhi and what he did there. It is no different for our children. I know apartheid existed but it was this clinical, objective condition, limited to a few paragraphs in a long forgotten history textbook. I’d frown, thinking about it but that’s about it. There was a comfortable emotional detachment. It was the same for the boys. Then we read When Morning Comes by Arushi Raina. It is the kind of book that needs you to rest between pages, to find your breath, to hope that things go well, that the characters live. That Zanele lives. The Soweto Uprising changed the course of history for the region and to think it was a group of school kids who started it all! Fiction gives voices to the people who might have existed around the time. There might have been a Zanele fighting for her basic rights as a human being, there might have been a Jack, who despite being white and completely ignorant of what was going on around him, cared very little about the skin colour. There might have been an impossible love story that could have existed and quietly faded away. There might have been a Meena, who despite being brown, found herself at the centre of it all. On 16th June 1976, I was not even a year old, happily bundled up in my mum’s arms, protected in my privileged life. And on that very day about 700 people, mostly school students were killed. Because they decided that it was them who had to stand up, and do something about their rights. Little children, the age of my own and perhaps younger. Zanele, Thabo, Jack and Meena – they together reveal a forgotten part of world history that today, more than ever, is significant. The story moves forth in their voices, their lives and their changing perspectives. The story needs to be read, for on the foundation of history, future stands. 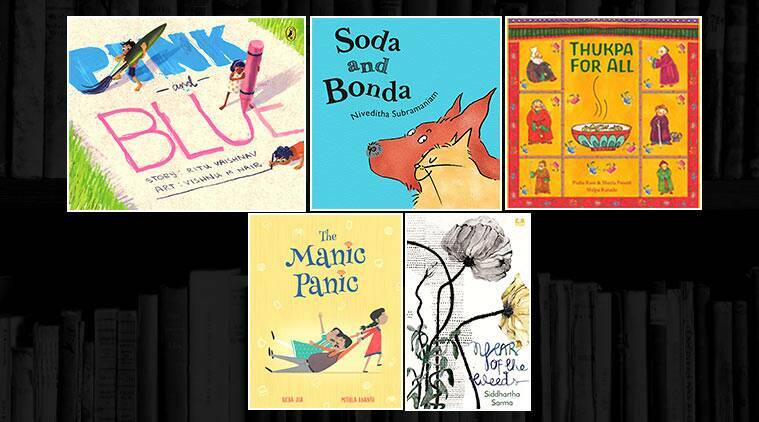 These children’s books introduce your child to a new world. Pink and Blue, written by Ritu Vaishnav and illustrated by Vishnu M Nair is a perfect starting point for conversations on gender stereotypes. Girls like pink, boys don’t cry, and many more such stereotypes are called out one by one without the book receding into a serious monologue. The illustrations ensure that the balance is maintained and the detailing would get the reader to linger on the pages a tad bit longer. Since the concepts are simply stated, they leave a lot of scope for discussion. Colours, hair length, sports, tears – none of them have a gender and our kids not only need to know it, they need to see it in terms that are familiar to them. Pink and Blue does just that – uses everyday situations in a child’s life to gently put across the ridiculousness of gender stereotyping. Supriya Kelkar’s Ahimsa is the kind of book I wish we had when we were kids. Anjali is a 10-year-old girl living in a fictitious small town called Navarangpur somewhere in India around the time just before we gained independence. The story revolves around the struggle as seen through the child’s eyes. Gandhi’s philosophy in current times incites extreme reactions like everything else. So to see the narrative treat Gandhi as a human who was also capable of making mistakes was extremely refreshing. The story leaves windows for thought and discussion. It makes the reader question at places and nod at others. I have no memory of an inclusive book from recent years, at least none that stuck past the last page was turned. Ahimsa is different. It talks about the riots, it discusses Gandhian philosophy, it questions ideas, introduces Ambedekar’s journey, it makes Dalits visible, and introduces the reader to their struggles without mollycoddling. And while it does all this, the plot is not lost. It is all conversational and provides perfect grounds for opening discussions with children around freedom struggle, different philosophies and the caste system. The beauty of Pratham books is that they travel to unexpected places and hence the stories that these books tell become even more impactful. The Seed Savers is a story inspired by real life events. This is a story of possibly the most important people in our society who are also one of the most neglected. This story is also about the power of choice and community. The people of the village choose to stick to organic seeds, and they come together to form a seed bank when they face a crunch. The Seed Savers is important not only as a conversation starter on the issues that our city-kids stay blissfully ignorant of, but also as a seedling of an idea in a community facing similar problems. This book can be most suitably used to discuss the problems that our farmers face and also possible solutions to the problem. We need to talk to our children if we hope for a better tomorrow. The path-breaking decision by the Supreme Court on the Niyamgiri Hills is lost in the pages of history. Most of us have either forgotten or have no clue about it. Siddhartha Sarma’s Year of the Weeds is set in a small Gond village on Odisha based around the same judgment. Korak is a teenaged boy quite content in being a gardener at the Forest Officer’s home. He speaks very little, unlike Anchita, the Forest officer’s daughter who likes to sketch and considers Korak her friend. Korak’s very common, unnoticeable life changes when the Government tells the Gonds to vacate their land since a company wants to mine the sacred hill for bauxite. What follows is the circus we see everyday from the other side, sitting pretty in our living rooms and lapping it all up. The difference here is that the circus is seen through the eyes of the Gonds. Korak’s innocent observations are cleverly layered by the writer shoving the truth gently in your face leaving no room for the reader to hide. Without naming any names, he has managed to take a potshot at every politician and system running the show today. Little things that went into the making of this story get you to think. Anchita’s insistence on feeding Korak ‘kek ‘ (cake), for instance, is something we, standing from where we do would see as a perfectly normal thing to do. What if stuff we think of as delicacy and hence a privilege, is unpalatable to the one who seems (to us) to be in need of everything ? It gets you to stop and rethink. And hence opens up yet another world to discover with your teenager. I read it this book and emerged with mixed feelings. What age group do I pin it to? Just the middle graders? Or all the way up to the forever-worrying parents? Xerxes’s mother wants him to be like JRD Tata but Xerxes just wants to be like his grandpa, Mamavaji as he fondly calls him. Both of them indulge in imaginary games, share laughs and take life as it should be taken – with a bucketful of fun and a just a pinch of worry. But his mum disagrees like all mums of her generation. And she frowns. A lot. This is a must read for both parents and children as it has the potential to open conversations up and help parents address their anxieties while understanding the child’s perspective. I felt truly sorry for Xerxes. He represents the children of today, fighting to retain their dreams while trying to fullfil those that are not theirs. Do read. And reflect. And talk. 3 Being Baba: What's the one good reason to have a baby?